I will admit that I enjoy my team at work thinking that I have some kind of superpower for finding cool places. I introduced them all to 9 Bars and Monk’s Table, and have taken them to places like Dineen Coffee and Wvrst and Bar Hop, so they think I have some kind of talent. Truth: it’s just an internet connection and mild obsession. But when I brought them all to Boxcar Social yesterday after work, they really thought I had magical powers. Great coffee by day, good beer/wine/whisky selection by night, and relaxed backyard-feeling space all day. My team drank cider and Muskoka. I, and others, drank Bellwoods: the Wizard Wolf, the Monogamy (Summit), the Omerta. The Omerta actually showed up while I was drinking the other two — nothing like just-in-time delivery. More just-in-time: Nellie and I coordinated a pick-up order of some pizzas at Mercatto, which showed up just as I walked in the door, and which we enjoyed during a quiet night at home. 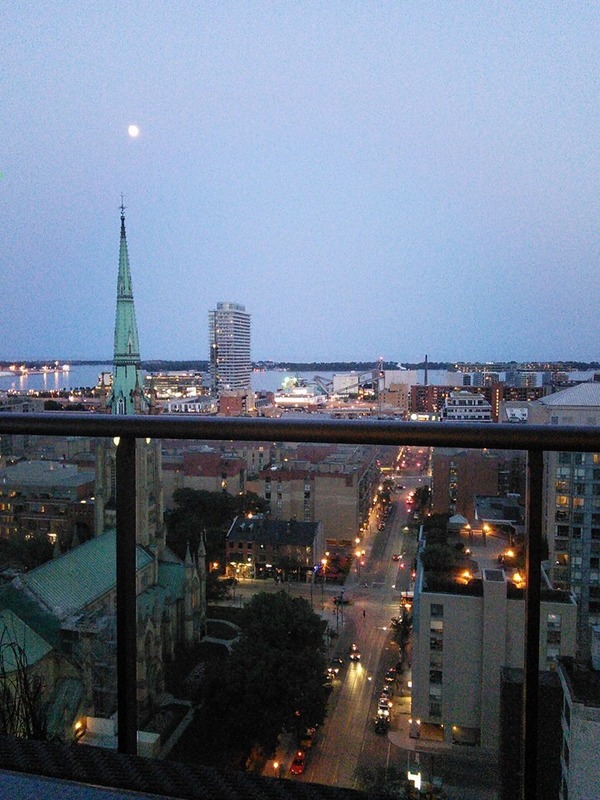 We ate, and drank wine on the balcony, and started the kind of quiet weekend we’ve craved for a while now.